It's no doubt due to Rachmaninov's supreme musical gifts that on entering the Moscow Conservatory as a pupil of Nicolai Zverev at the age of thirteen he graduated as a pianist with the highest honours within four years, and a year later, as a composer, he was awarded the Great Gold Medal of the Conservatory. He thus became only the third recipient in the Conservatory's history with the title 'Free Artist'. The Ten Preludes Op.23, the Op.3 Prelude and the Thirteen Preludes Op.32 represent all twenty-four major and minor keys and are considered to be among Rachmaninov's best works for solo piano. The success of his first Prelude proved to be double-edged. It became so popular that it travelled round the world to the point where in the 1920s in New York he heard the Paul Whiteman Band play a jazz version and as a touring virtuoso he would not be allowed to leave without playing it as an encore. His Ten Preludes Op.23 were composed in a burst of creativity in the year that he married his beloved cousin Natalia. In 1910, at the very height of his powers, Rachmaninov completed his set of 24 Preludes with a final group of 13 comprising his Op.32. 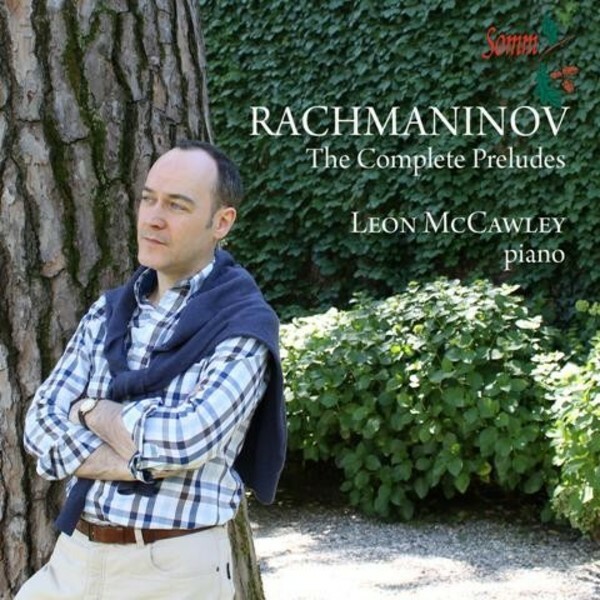 The Preludes have the charm, lyricism and nostalgic melancholy intrinsic to Rachmaninov. They can be played individually or as separate sets, but hearing them in sequence demonstrates a rarely perceived but always present aspect of this great pianist composer.